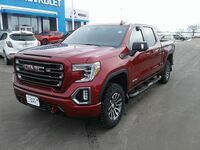 When deciding between two very similar vehicles like the 2019 GMC Sierra 1500 and the 2019 Chevrolet Silverado 1500 your decision will be based on their exterior styling and which available interior amenities meet your personal needs best. 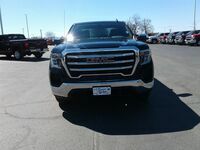 Since both the GMC Sierra and the Chevy Silverado are both manufactured under the GM umbrella they have the same drivetrain options under the hood and also have parallel specs and features throughout. 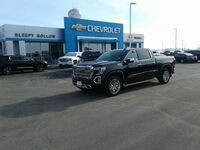 You can find out about all of the differences and similarities between the 2019 GMC Sierra 1500 and the 2019 Chevrolet Silverado 1500 right here below and you can get behind the wheel of both of these attractive and accommodating trucks at Sleepy Hollow serving the La Crosse, WI community since 1989. The standard engine of both the 2019 GMC Sierra and 2019 Chevrolet Silverado 1500 is a 4.3L Ecotec®3 V6 engine. Both trucks also offer a 5.3L Ecotec®3 V8 with Dynamic Fuel Management, a 6.2L Ecotec®3 V8 engine, and a 2.7L Turbocharged Inline 4-Cylinder. You can see the performance specs for each of the engine options in the graph below. All engine options work with an Automatic Transmission for optimal fuel economy ratings. 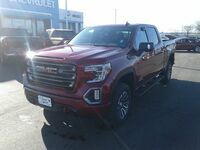 The 2019 GMC Sierra 1500 has six trim level choices while the 2019 Chevy Silverado 1500 has eight to choose from. 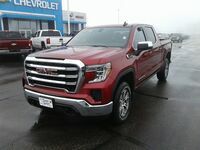 There is also the option of either a Crew Cab or a Double Cab and a Short Box or Standard Box for both the 2019 GMC Sierra and the 2019 Chevy Silverado. Standard interior features of both the 2019 Sierra and the 2019 Silverado include a 7” Color Touchscreen Display, a 3.5” Monochromatic Driver Information Screen, a 6-Speaker Stereo, Bluetooth®, Apple CarPlay™, Android Auto™, along with Power Locks and Windows. 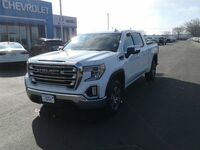 Available features for the 2019 Sierra and Silverado include an 8” Color Touchscreen Display, a Premium Bose® 7-Speaker Stereo, an 8” Driver Information Screen, Multiple Leather-Trimmed Seat Options, Dual-Zone Automatic Climate Control, HD Surround Vision, Heated Front & Rear Seats, Ventilated Front Seats, and a 4G LTE Wi-Fi® Hotspot. 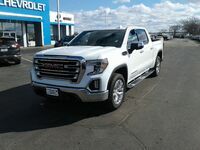 You can take both the 2019 GMC Sierra 1500 and the 2019 Chevrolet Silverado 1500 for a test drive today at Sleepy Hollow to help you make your final decision between these two high-quality trucks. 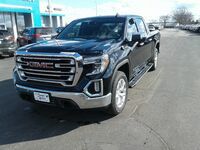 Interested in a 2019 GMC Sierra 1500?